For the services referred to in points 1 and 2, to offer all its services also makes use of the websites www.unospitedivenezia.it. unospitedivenezia is, therefore, the owner of the processing of personal data collected. • if other or business partners lawfully disclose their personal data to unospitedivenezia. Please help us keep your personal information up to date by informing us of any changes. Any changes in the personal residence data must be promptly communicated to unospitedivenezia to avoid problems regarding the use of the services provided. Personal and contact information – information about your name, place and date of birth, tax code, address, telephone number, place of work, email address and, if you connect to our sites or app, through social login (i.e. a social account you have registered with), also information that is visible in that social according to the privacy settings you have set. a) Establishment and execution of contractual relations and consequent obligations, including communication regarding services unospitedivenezia may process your personal data to establish and executing contractual relationships, providing the services requested and responding to reports and complaints. 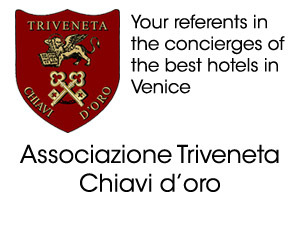 unospitedivenezia may also use your contact details, and in particular your email address, to provide you with information regarding the services offered. Prerequisite for treatment: fulfilment of contractual obligations. The provision of data is required to manage the contractual relationship. b) Operational management and purposes strictly connected to it for access to the Site unospitedivenezia collects your personal data in order to allow you to access the site and provide you with the services available there, also by accessing your Personal Area in order to: (i) download from your Personal Area documents relating to the services you have purchased; (ii) process other requests made through the website. unospitedivenezia may use its contact data to conduct institutional surveys aimed at measuring the level of customer satisfaction with the service provided. d) Marketing to meet your needs and to provide you with promotional offers unospitedivenezia collects your contact data for marketing and advertising purposes, aimed at informing you about promotional sales initiatives, carried out through automated means of contact (e-mail, text messages and other massive messaging tools, etc.) and traditional methods of contact (such as telephone calls with operators). e) Compliance with legally binding requirements to comply with legal obligations, regulations or orders of a judicial authority unospitedivenezia collects your personal data to comply with the law. unospitedivenezia uses a wide range of security measures to improve the protection and maintenance of the security, integrity and accessibility of your personal data. the permanent monitoring of access to information systems to detect and stop the abuse of personal data. transactions on our websites that require your personal data to be entered are encrypted using Secure Socket Layer (SSL) technology. Your personal data may be accessed by the employees of unospitedivenezia, as well as by the suppliers and collaborators, duly appointed as data controllers. If you have any questions regarding the processing of your personal data by us, contact the telephone number 0415220848, asking the secretariat of the Legal and Corporate Affairs. We would also like to inform you that the Company has appointed an external data protection officer (DPO), whose contact details are dpo@unospitedivenezia.it, to whom you may apply in general for matters relating to the protection of personal data and related rights.